Overnight Sunday, January 20 into Monday, January 21, there will be a super wolf blood moon total lunar eclipse, with people in North and South America in the prime viewing spot. Lets break down exactly what that means. A supermoon occurs when the moon appears particularly large in the sky, due to its closest approach to the earth. The first full moon of the year is named after howling wolves, thus a wolf moon. It will also be a blood moon which refers to the reddish tint seen during a lunar eclipse as sunlight is filtered and refracted by Earth's atmosphere. The January 20/21 total lunar eclipse will be the last one visible from the United States until 2022. 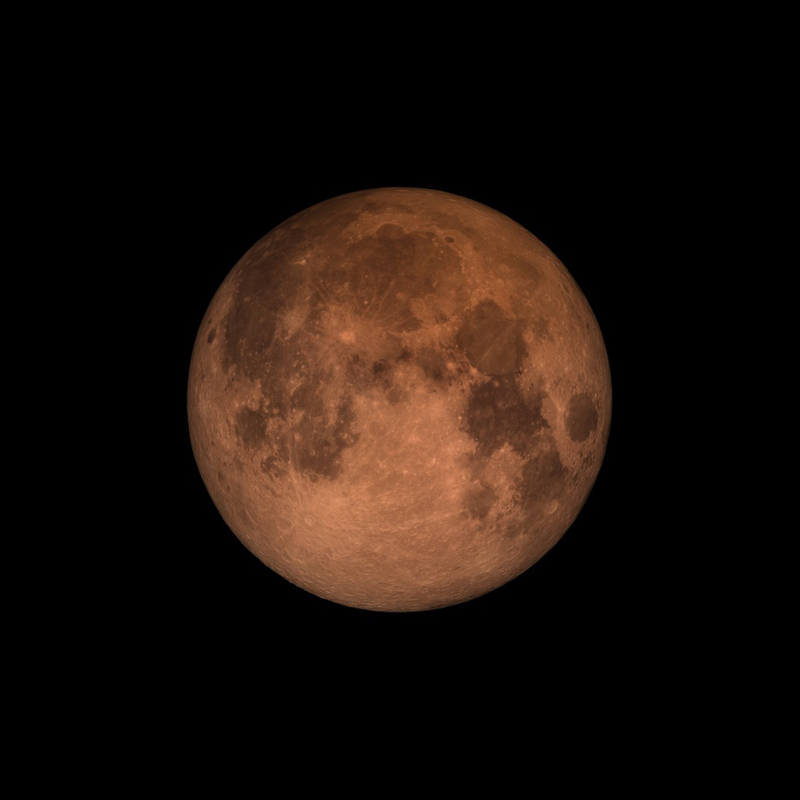 During a total lunar eclipse, according to Space.com, all of the moon will turn a rusty color as the moon enters Earth's shadow. Sunlight scatters to produce the red colors of sunset and sunrise when it enters Earth's atmosphere at a particular angle. In the Washington, DC, region, according to TimeandDate.com, the partial eclipse begins at 10:33 p.m. and the total eclipse begins at 11:41 p.m. Maximum eclipse, when the moon is closest to the center of the shadow, will be at 12:12 a.m. and the total eclipse ends at 12:43 a.m. For animation of what the eclipse will look like from start to finish, and to check times in other cities for when it will be visible, visit Time and Date.